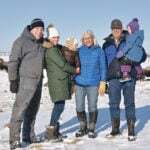 Winter calving can lead to health risks for the newborns, North Dakota State University Extension livestock specialists caution. This winter’s heavy snowfall and dangerous wind chills have created calving conditions that are difficult to manage and put the ears, feet and life of newborn calves at risk. However, calving indoors also has its drawbacks. “When calving indoors, and with a number of animals producing heat and humidity, the temperature changes can produce poor air quality, leading to efficient transmission of potential pathogens and increasing the risk of neonatal calf diarrhea or pneumonia,” said Gerald Stokka, NDSU Extension veterinarian and livestock stewardship specialist. 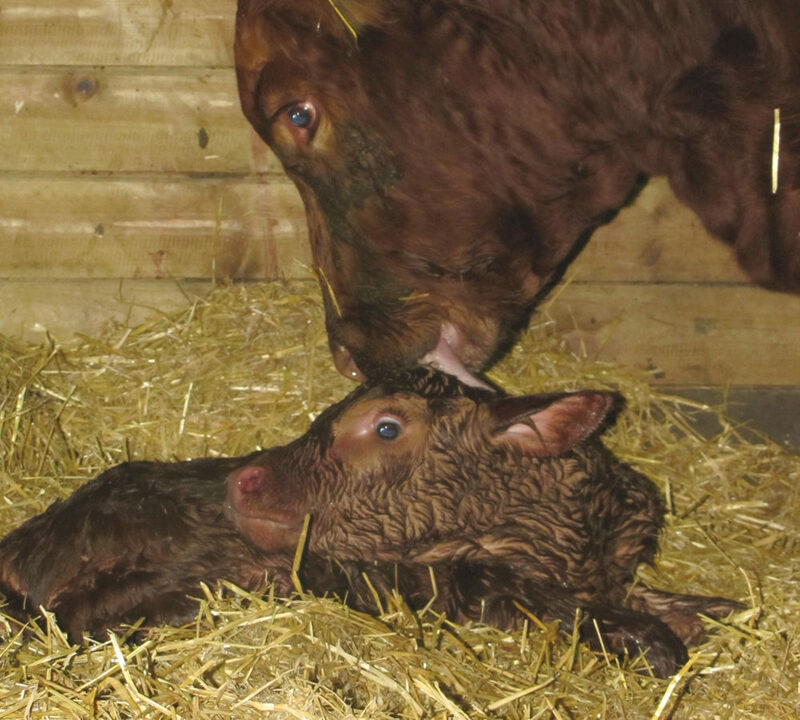 Newborn calves have two internal mechanisms to help them cope with cold weather. First, calves are able to shiver, which is the involuntary muscle movements designed to increase warmth by expending energy. The second mechanism is the non-shivering response that allows fat to be used to increase the calves’ metabolic rate by two to four times the resting rate to help them cope with colder temperatures. This special kind of fat is known as brown fat. It is readily available to the newborn to provide energy to cope with the sudden change in the calf’s environment at birth. “Calves born to properly fed dams come equipped with this remarkable cold-coping mechanism,” Stokka said. The newborn calf’s ability to cope with cold weather means the calf needs to rise quickly after birth and find its food and life source through the dam’s colostrum. Colostrum is a form of milk that mammals produce in late pregnancy. 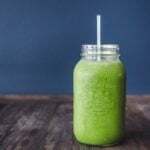 It contains energy, protein, fat and vitamins, plus antibodies to protect newborns against disease until their own immune system is totally functional. Calving ease and excellent mothering ability are critical to the calf’s ability to stand and nurse quickly. In colder temperatures, calves born without some environmental protection or born to poor mothers with poor-quality colostrum will be at greater risk for infection from disease-causing pathogens. To determine whether a calf has nursed, observe the dam’s udder and teats for evidence of nursing and feel the inside of the calf’s mouth. A calf with a cold mouth has not nursed and needs attention. Stokka advises that if calving outside this winter, extra bedding is necessary as protection from the wind. However, cows delivering calves usually leave the herd and find secluded locations for giving birth, so producers need to be extra diligent when looking for calves that are cold and slow to get up. These calves may need some type of additional heat source and supplemental colostrum. This may mean the newborns need to spend a few hours in a calf “hot” box or just in a warmer environment that’s out of the wind. In some cases of severe hypothermia, dry heat may not work well enough and a warm-water bath is necessary. The dam’s colostrum is optimal. 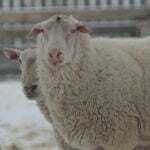 The next best options are frozen stored colostrum or one of a number of commercial colostrum substitutes. The commercial colostrum substitutes need to contain a minimum of 100 grams of immunoglobulin (IgG) per packet. IgG is an antibody absorbed through the calf’s small intestine and provides protection against disease-causing pathogens. Cold-stressed, immune-compromised calves also may require a little extra care with vaccination protocols. 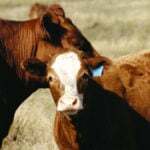 In populations of immune-compromised calves, a significant number of calves may not respond adequately to vaccination procedures. 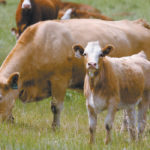 Booster doses, which are the second and third doses given within a defined time frame, may be important this year to prevent respiratory disease during the summer and fall weaning season, Stokka said.